If you want to know a patient couple, Shai'Loni and Wes are it! In January I met up with Shai'Loni to visit about her vision for her wedding. 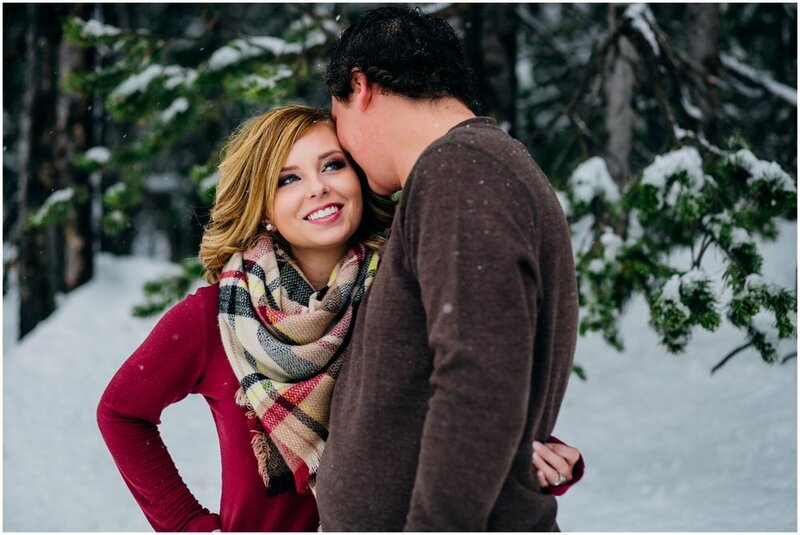 Seeing her face light up when she talked about Wes made me so excited to see them together for their engagement session. 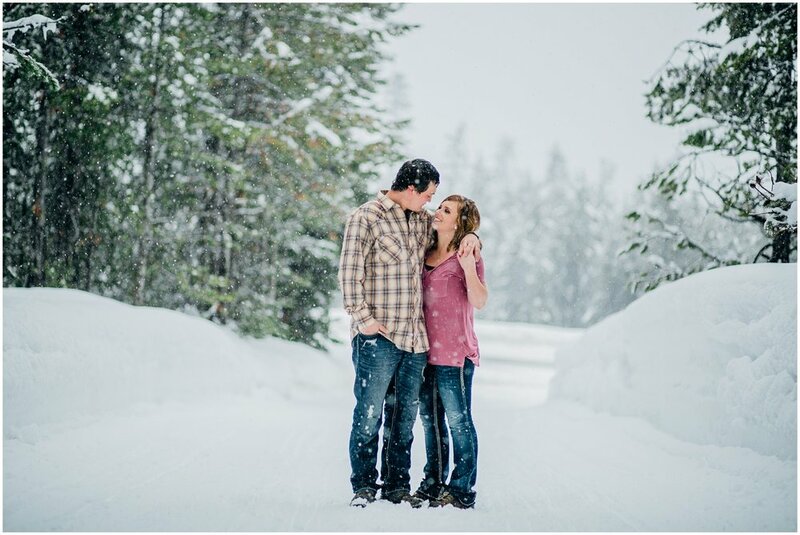 We planned on a Saturday to head to Island park for snowy engagements. I knew it'd be covered in snow, but the day before a snow stormed started to hit Island Park according to my weather app. In Idaho Falls and Rexburg it was mostly just gloomy, but I really didn't want to risk driving up and getting stuck or not being able to shoot in a blizzard. I asked to reschedule for Presidents' Day. These two were so patient and happy to do so! Monday came and it was pouring wet snow! Luckily it wasn't a blizzard this time around, but it gave the exact vibe Shai'Loni wanted for their session! The snow was literally perfect for photographing. 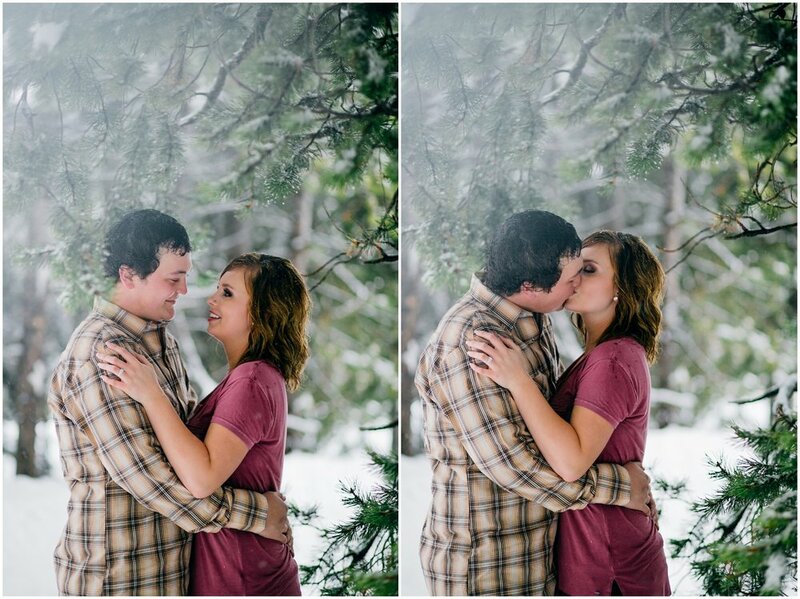 At a few different points during their session I'd have Shai'Loni and Wes stand under a tree, and right as they got into their pose, snow would fall off the tree and down their necks and back! They were such good sports about freezing snow falling on them, so we all ended up laughing, even after the fifth time it happened. Thank goodness for these two with their patience and easy going attitudes.